This was a hike I had wanted to do for a long while. During a family holiday in North Wales I managed to secure a day pass with a reasonable forecast to give it a go. Having been dropped off at Pen-y-Pass I headed up along a ridge between the Miners Track and Pyg Track to get some pictures of the route ahead. It looked spectacular, and a bit daunting. From leaving the Pyg Track, at a point about halfway up (just beyond that first outcrop) the path becomes indistinct. I first tried a route to the left but it quickly became too steep and so I traversed around to the right and climbed up the steep rocky face, seen on the right of the picture above. This proved fairly straight forward but involved the use of hands and feet for most of the way. The Crib Goch arête consists of 3 rocky pinnacles linked by a knife edge ridge. The 1st pinnacle is gained at initial ascent. The view above looks on to the 2nd and 3rd pinnacles. Most of the arête is very narrow and steeply exposed on both sides. Beyond Crib Goch there is a col (Bwich Coch) following which the ridge can be seen rising to Garnedd Ugain (also known as Crib-y-Ddysgl) and then on to Snowdon (Yr Wyddfa), seen far left. Once on Grib Goch my options were either to attempt a calm & cool demeanor and walk along with a look of conviction, or to edge along slowly using hands & knees whilst looking terrified. I did mainly the latter, until a fell runner 'ran' past me and I decided that I should 'man up'. Continuing on, with the illusion of confidence, I carefully picked my route across the ridge. Unlike striding edge, there appeared to be no easier option found off to the side. At about the point where the hiker in blue can be seen, between the 2nd and 3rd pinnacles, there is a route option. The easier, and most obvious way seems to drop down along a gulley to the left and then skirt the remaining part of the ridge low on the left. Both hikers above, eventually went that way after some apparent indecision. When I got there it was obvious that the lower path was quite a long way round and a somewhat unsatisfactory & early conclusion to the ridge walk. I decided to cautiously venture onward along this 3rd pinnacle. There was no clear path and the way forwards was a real scramble at times but I edged along, half expecting to have to turn back and follow the other hikers. Eventually however, the way became more obvious and less exposed, finally dropping down to a short but steep descent to the col shown below (Bwlch Coch). Bwlch Coch marks the end of the Crib Goch arête. I was pleased that I had persisted with the direct route as upon arriving at the col I could see the other hikers way back and down to the left. From here onward the way seemed direct and the path reassuringly wider but there was to be some more scrambling to be done before gaining the summit of Garnedd Ugain, due to the rocky outcrop visible just below its summit. Another series of steepish scrambles, unfortunately in cloud, and I eventually emerged onto the broad summit ridge. From this point on it's now a easy walk. With a real sense of achievement I continued on towards the summit of Snowdon. Descending from Garnedd Ugain to the main Snowdon ridge was like joining a traffic jam after enjoying quiet country roads. The path to the summit then gets even busier at it is joined by the combined footfall from the Miners and Pyg Tracks and then all the folk from the train. The summit was shrouded in cloud so I quickly headed back down the ridge and took the main route down towards Glaslyn, following the Miners Track where the path splits. 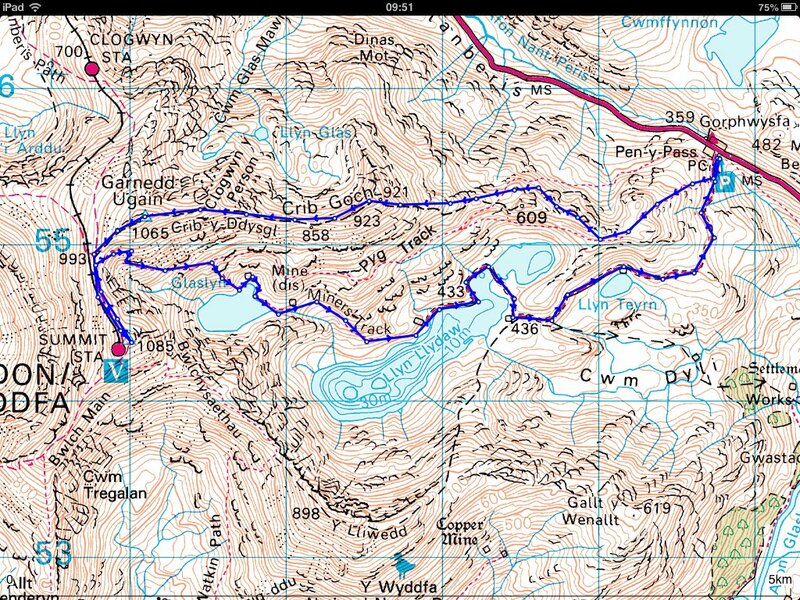 This is a great route but its really not for the faint hearted. I would suggest testing your metal on something like striding edge and Blenacathra's sharp edge before attempting this. The Snowdonia National Park Authority describe Crib Goch as "not a mountain for the inexperienced". For those who try it, choose a calm, clear & dry day and you will rewarded by some truly epic views and an equally epic sense of achievement. The Perfect Hiking Shorts ? 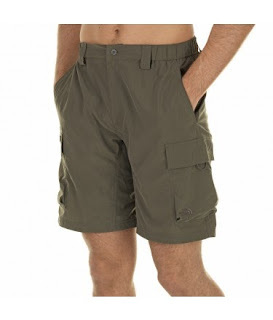 I'm sure I'm not alone in struggling to find the perfect hiking shorts. Common problems for me are that most are too heavy & cumbersome, have poor pocket design, have poor waist design, are too long or too short, fit badly, are uncomfortable or make you look like a German tourist. I had struggled for many years to find anything approaching a good pair. Key features in my quest were that they must be lightweight but durable, pack small, have good easy access pockets (and in particular have a leg pocket that can accommodate an OS map), dry quickly when wet, have a good fit (not be too tight on the thighs when walking), be a good length (just touching the knee caps when stood) and look reasonably OK. These shorts tick all the boxes for me. Allow me to explain. I'm a 5 foot 10" bloke with a 34" waist and reasonably normal build but with a back side perhaps on the larger side of average. Good strong gluts I would say. The problem for me with most shorts is that they are too tight over the bum and especially over the front of the thighs. Perhaps it is because TNF, being an American company, and with an eye on their home market, give a more generous fit than some UK companies. For me, the result is a perfect fit. The Meridians are nice and light (190g) and the fabric is a perfect mix of durability, texture and 'airiness' which results in a pair of shorts that you can wear all day without noticing them. They claim to be quick drying and I can reliably confirm this quality. Last year, after a hot and sweaty hike up Loughrigg Fell, the cool clear water of Grasmere was just too tempting and I waded in for a quick swim. By the time I had walked back to Grasmere village, the shorts (although not my underwear) were bone dry. The waist is 3/4 elasticated which means that it doesn't dig in but has enough stretch to sit comfortably around the waist. They have a waist drawcord which works well, and belt loops (which I haven't used but its nice to have them). There is a single front button and a zip fly (I hate button flies). Pockets are just right; 2 normal open front pockets with a tough mesh lining for breathability and 2 good sized thigh pockets with velcro closure and a handy cord loop for quick opening. These thigh pockets can hold an OS map although you wont be able to close them - no big deal. The single right rear pocket is zip closed for security and doubles as a Stow Pocket. There is also a further internal security pocket. Just enough functional pocket space without looking like a scout leader. I bought my first pair of these about 4 years ago, much to the despair of my wife who though I was just adding more flotsam to my increasing pile of 'redundant' shorts. Not so. After 12 months of wear I realized that I had at last found my perfect shorts and bought another 2 pairs online. I use these shorts on an almost daily basis at home and for nearly all of my 3 season hikes. Suffice to say, that between the 3 pairs, they have had considerable use over the past few years. They remain as good as new and I anticipate many more years of use. I would be interested to hear any other suggestions for the perfect shorts (just in case TNF stop making them - perish the thought!). RRP £45 but ive seen them as cheap as £25 on line. I had planned a long walk today to take advantage of the lengthening days but with a number of opportunities to cut it short if stamina was found wanting. An early start had me in full rain gear at 6:30 after parking near the zig zags in the road by Howtown. It was drizzling steadily but the weather forecast was reassuringly optimistic that things would brighten up later. There was no easy way to climb the steep west side of Arthur's Pike so it was a case of following the path northwest past Bonscale and Arthur's Pikes towards Barton Park and then cutting back so as to gain the ridge from the north side. Along the path the rain suddenly stopped and the sun came out. From Arthur's Pike a path continues southeast towards Bonscale Pike and the stone pillars of Bonscale 'towers', the lower of which provides a great viewpoint down to Ullswater. The path then continues south to join with the old Roman Road but a slight deviation eastwards is then required to reach Loadpot Hill. Its then an easy path for a mile along the Roman Road to Wether Hill, the summit of which is a small pile of stones to indicate the apparent high point of an otherwise expansive featureless grassy plateau. The Roman Road continues south towards High Raise. This must be a fell runners paradise but by this time I was getting fed up of grass underfoot and was looking forwards to the promise of more rocky terrain on the fells to follow. Kidsty Pike is a must visit from High Raise as it offers the first good view of Haweswater and is a great view point for the Riggindale valley. The path westwards follows a gentle depression before rising up a little to a few cairns indicating the summit of Rampsgill Head. The next objective was The Knott which is an easy path down towards the stone wall seen in the picture which then follows it to the summit. At this point I was in 2 minds whether to take in Brock Crags which from this view seemed a long way off the obvious route to Rest Dodd. After considering the great weather and with no compelling reason to rush back, I set off westwards to bypass Rest Dodd. It was worth the detour. The views from Brock Crags were some of the best from the day. It felt like a long trudge back towards Rest Dodd and the steep climb to this 10th summit of the day was punishing on the old legs. 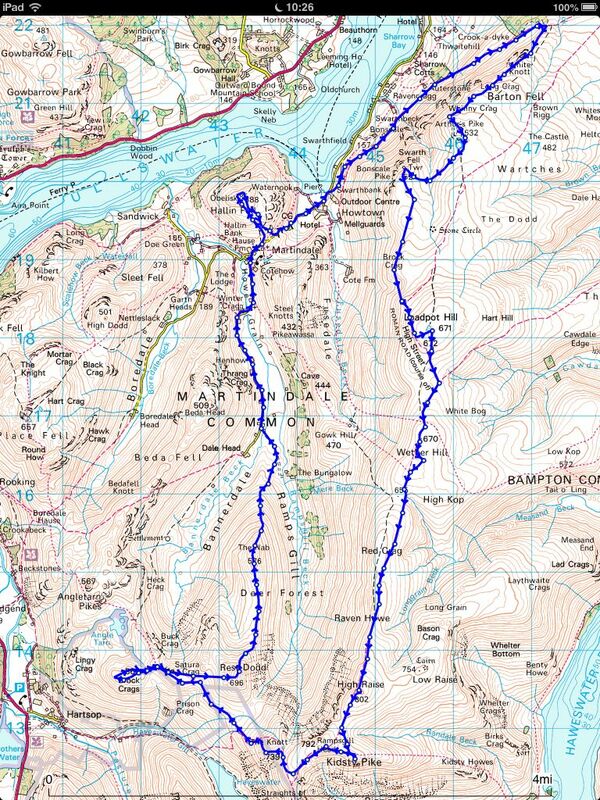 It was a steep descent down from Rest Dodd and then awkward terrain over peat hags before reaching The Nab. The steep route down directly north from The Nab is one of steepest I have encountered in the Lakes. Although the photo above perhaps doesn't illustrate the inclination well, I can assure you, it was very steep! At this point the legs were tired and my mind was set on getting back to the car and calling it a day but by the time I reached the foot of Hallin Fell I decided there was just enough left in the tank to get me to the summit. 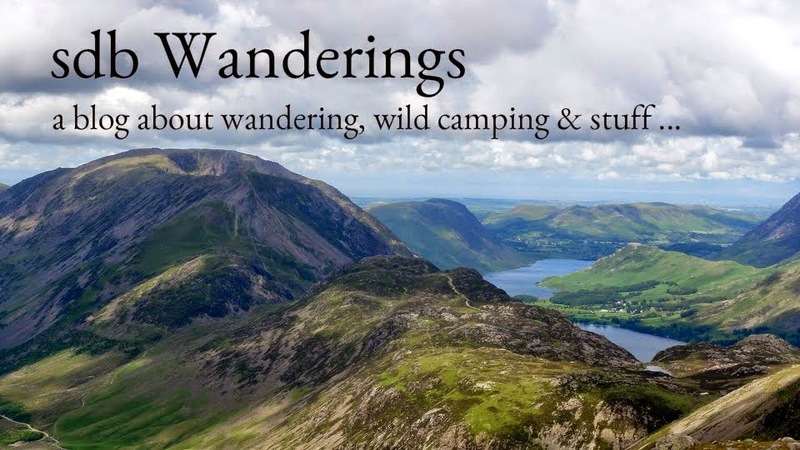 So that's 93 Wainwrights so far and still a long way to go. Looking forwards to the remaining 121.